In the Apple menu at top left, click "System Preferences". For show, choose "Internal Modem". 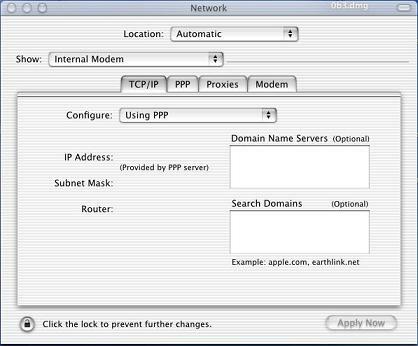 Under the TCP/IP tab, for "Configure," select "Using PPP"
Type "PShift" in the Provider box. Type your local access number in the Telephone number box. Type your username in the Account name box. Make sure only the following are checked, and click "OK"